Now that the dust is settling from the Supreme Court’s oral arguments held two weeks ago in the challenge to the Affordable Care Act (ACA)—known by critics and some supporters as “Obamacare”—analysts are looking back on the questions and concerns raised by various Justices to see what the road ahead might or should look like. In my column today, I address one of the key features of the oral argument landscape—the (to my mind, unwarranted) fear of a slippery slope that the individual mandate provision seemed to engender. But then things got more treacherous. The problem, suggested by numerous conservative Justices, was the slippery slope they saw in the mandate—the idea that Congress was requiring individuals to buy something. The fact that Congress was not just regulating existing transactions, but rather compelling commercial activity where before there was only inactivity, raised red flags. If the feds can require each person to buy health insurance, what can’t they force people to purchase? As was widely reported, various Justices seemed worried: Would Congress also be able to force people to buy cell phones, or broccoli, or burial services? Once you start allowing Congress to compel people to purchase goods or services, aren’t you in a freefall that has only one conceivable endpoint—a world in which there are no limits to the federal government’s Commerce Clause power to regulate the lives of all Americans. I well understand the felt need for the courts to have tools to keep Congress within some bounds in the Commerce Clause and other areas. 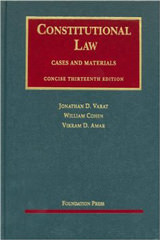 As I have written elsewhere, I do not think that the so-called “political safeguards” argument advanced by the Court in Garcia v. San Antonio Metropolitan Transit Authority—that is, the argument that states do not need judicial protection because state government has adequate leverage over the federal government due to the role state governmental actors play in the selection of federal officials –fully works in light of changes to the Constitution over the decades. Nor do I agree with Justice Breyer’s dissenting argument in U.S. v. Morrison that, given the realities of the modern world, it would be constitutionally unproblematic to say that Congress should be able to reach any conduct, no matter where it takes place and no matter how remote the effect it has on interstate economic markets may be. But while I think courts should not abdicate a robust role in policing the boundaries of federalism, I also think that the tools judges should use must be of the right shape and size for the job. And I am struck by the fact that at the oral argument over the mandate, none of the Justices or lawyers pointed out crisply that we are already poised on equally treacherous slopes in interpreting the Commerce Clause, and that the Court has demonstrated that it has plenty of pitons available to arrest our slide and limit the scope of federal power. As my colleague Alan Brownstein and I have pointed out in various fora, the slippery slope danger has been present in Commerce Clause doctrine for the past 50 years, and the mandate doesn’t add slopes that are any more dangerous than those we’ve already been dealing with. In other words, there is no persuasive basis for thinking that the individual mandate will create a steeper or more slippery slope—one that is less susceptible to judicial or political handholds and footholds—than those hazards we live with exist under current doctrine. To understand this point, it’s useful to remember that the Court has already determined that Congress has authority to prohibit people from possessing things under the Commerce Clause. Just seven years ago, in Gonzales v. Raich, the Court held that the feds can ban the possession of marijuana. It didn’t matter how a person obtained the marijuana, how much he or she possessed, or whether he or she planned to consume rather than sell it. Possession itself could be prohibited. As Alan and I have observed, this would seem to put us on hazardous ground! Does Raich mean that Congress can also ban the possession of cars, televisions, clothes, the tomatoes you grew in your garden, or the broccoli in the refrigerator? What can’t the federal government do, if it can ban the possession of all goods? Yet the Court has said that even as the federal government might sometimes ban possession of things, the government’s power in this regard is not unlimited. 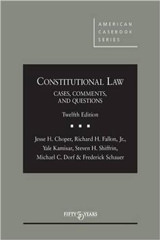 As Justice Scalia observed in his concurring opinion in Raich, the possession of marijuana in particular can be punished because such penalties are necessary to carry out a comprehensive regulatory scheme—the Controlled Substances Act—that governs a robust and interstate market in drugs. Without that comprehensive regulatory scheme as an anchor and a clear tie-line connecting the ban on possession to the regulation of the market in illicit drugs, the ban on marijuana possession would exceed Congress’ Commerce Clause power. Or consider another example: No one doubts that under current doctrine the government can often regulate ongoing economic activity—the sale and purchase of goods and services. Once we enter commerce as producers, sellers, or buyers, the government can regulate our economic transactions and activities. That is widely accepted. But think about the slippery slopes created by this acknowledged power. Let’s go back to broccoli, the commodity of choice during the oral arguments. Congress might, instead of requiring purchase and consumption of broccoli, try to prohibit grocery stores from selling any vegetable—or any food—other than broccoli. Or it might require people to purchase broccoli as a condition of purchasing other food, or other goods and services. Can Congress pull us down this cliff? If so, then who cares whether Congress can compel specific purchases to be made directly? It can effectively compel people to buy designated goods by regulating or prohibiting consumer decisions to purchase other things. Another way to see that the Court already has the tools it needs, without creating a ban on commercial mandates, is to look at areas in which mandates are undeniably permitted—settings where people can’t challenge government action merely because the government is affirmatively requiring something, insofar as affirmative requirements are concededly within Congress’ power. Consider, for example, a Congressional law that requires young persons to show up for military service. So far, so good—Congress’ power to raise and support military troops has been understood to justify the draft. But imagine further that Congress mandates that the men and women who might be drafted must procure health insurance because the government wants to make sure that its future draftees are fit and ready for action right away. If required health insurance is permissible under this reasoning, then the challenge to the ACA disappears because, of course, Congress is entitled to use not just the Commerce Clause, but rather all the powers within its enumerated panoply. And if required healthcare is not justifiable under the power to raise armies, that result certainly does not follow from any activity/inactivity distinction; the draft itself obliterates that line. Instead, it would come about because the relationship between raising armies and required healthcare is too attenuated. Or imagine further that Congress mandated that all persons eat at least two servings of green vegetables and exercise vigorously for at least half-an-hour per day, on the theory that potential military troops need to be well-nourished and healthy. And so forth. 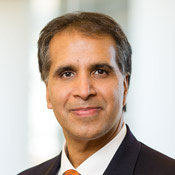 If Congress is to be reined in from requiring whatever it might dream up, the limit cannot be found in any activity/inactivity line, but rather in some notion that there must be a proximate nexus between the power that Congress is given in the Constitution and the means that Congress has chosen to implement that power. Notions of proximate relationship—a limit on attenuation, if you will—make some sense and probably do a good job of explaining the results in cases (like Lopez and Morrison) where the Court has struck down laws on the ground that they exceeded Congress’ Commerce Clause power. But if requirements of proximity and limits on attenuation are needed and sensible, they demonstrate that the proffered activity/inactivity line isn’t doing, and really can’t do, the work. None of this is to say that attenuation is the only device the Court has—or should have—to keep Congress in check. Not all congressional mandates are constitutionally permissible simply because they advance some otherwise legitimate federal goal in a direct and non-attenuated way. The Constitution itself, in some of its provisions and doctrines, prevents Congress from coercing certain kinds of action. 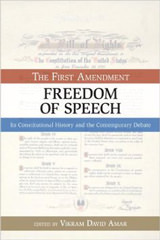 As I and other commentators have pointed out, the Third Amendment prohibits the quartering of troops in private homes during peacetime, the Fifth Amendment prevents government from mandating self-incrimination and the surrender of property without just compensation, the First Amendment prohibits government from mandating that individuals be vessels for government speech, and the Supreme Court has held in the so-called anti-commandeering cases, New York v. United States and Printz v. United States, that federalism principles prohibit Congress from mandating that state governments exercise their regulatory power on behalf of federal goals. The question then becomes: when is a mandate that would in fact promote a legitimate end nonetheless constitutionally problematic? Although no simple line can be drawn to connect all the dots, it is noteworthy that with respect to those mandates that are acknowledged to be constitutionally impermissible, generally speaking the individual or entity being mandated is not contributing to the problem Congress is trying to solve in any distinctive way, or in a way that explains the extent of the mandate. For example, in the anti-commandeering cases, the states that were commandeered were themselves not in any way standing as an obstacle to Congress’ ability to otherwise implement its regulatory objectives. They were, simply put, not part of the problem Congress was trying to fix, but instead had simply declined to be the solution Congress wanted them to be. So too for the ban on quartering and the ban on compelled speech. In those instances, Congress might prefer that the individuals being mandated assist Congress with its goals, but the mere existence of these individuals does not create the problem (the need for troop accommodations, or the need for governmental speech) to which Congress is reacting, or at least it does not create the kind of problem that would explain imposing a focused mandate on those persons in particular. Instead, government could be said to be using the mandated persons as its own instruments for the accomplishment of an objective not especially related to those individuals, except in the sense that they are convenient implements. Even in the takings context, as Professor Jed Rubenfeld has creatively and powerfully argued, when the government is not “using” private property for its own ends, but rather is preventing the private property owner from exporting externalities to other people, a taking that triggers a requirement of just compensation is less likely to be found. On the other hand, military defense, government spending (on roads and other infrastructure), and a system of criminal and civil justice requiring juries are, broadly speaking, “public goods” in the sense that people benefit from them and have an incentive to be free riders unless they are mandated to contribute. The free riding is itself a big part of the problem Congress is trying to solve when it imposes mandates in these areas. So long as the mandate is “congruent and proportional” (to borrow a phrase from another federalism context) to the free-rider problem that the very existence of the individuals being mandated is creating, then the mandate seems less objectionable. This explains why, for example, the quartering of troops is different from the draft. Placing a narrow, focused, and selective mandate on a few homeowners to bear the costs of a military that everyone benefits from is not a proportionate response to a free-rider problem in the way that a random and broad-based draft that seeks sacrifice from thousands, if not millions, of people is. When viewed through this prism, the healthcare mandate would seem to fall on the permissible side of any implicit constitutional line safeguarding against instrumentalization. The ACA’s mandate is, in substantial part, a response to the free-rider problem—a problem that itself is exacerbated by other undoubtedly permissible elements of the healthcare reform package. The individuals mandated are—if they are free from the mandate—part of the problem, rather than merely being a convenient part of a solution to problems created by other folks. In a later column, I will leave slippery slopes behind to take up a related but different aspect of the ACA mandate that seemed to generate anxiety—its ostensible novelty.